The game is an alternative version to the one currently available on iOS and Android. Whilst still featuring the same main character users will instead be tasked with exploring and racing. Available for Internet Explorer 11 the game will work on desktops as well as tablets with the same touchscreen input found on the tablet and smartphone specific version. 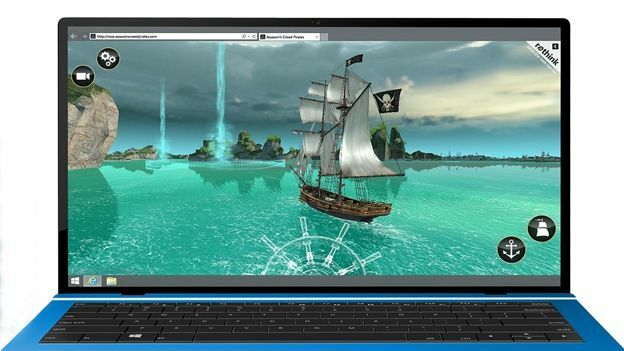 Ubisoft were reportedly able to achieve the same graphical fidelity through a web browser by using a new 3D engine called Babylon.js. Created by a number of engineers at Microsoft the engine has been built from the ground up to allow for easy porting and creation, especially with graphic intensive games. Assassin's Creed IV: Black Flag is now free to own, so stash away ya doubloons me 'arties. Arrrrrrrrrrr!